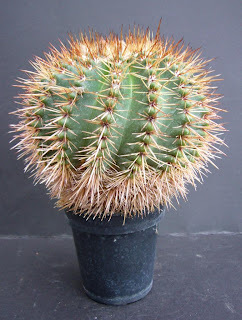 Spiky obsession: It's all about the spines. This cold wet spring is just going on, and on, and on, and on... It is amazing to thing that it was actually colder in the garden today than it was on Christmas day! We even have a 0C predicted for tonight, which for London I can not remember ever happening in May. Normally by now the cold frame has been taken down and a lot of plants our outside in their summer positions. It did at least finally stopped raining long enough to get out in the garden for a bit for a bit of repotting. Todays plants were the cacti, as some desperately needed potting on. 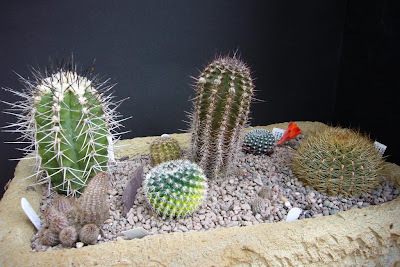 The first thing to consider when dealing with cacti is how to handle them, it is not just about avoiding ending up looking like a pin cushion, I also want to avoid damaging all the spines during the process. Everyone has their favourite tools, tricks to do this, I simple use some kitchen sponges. 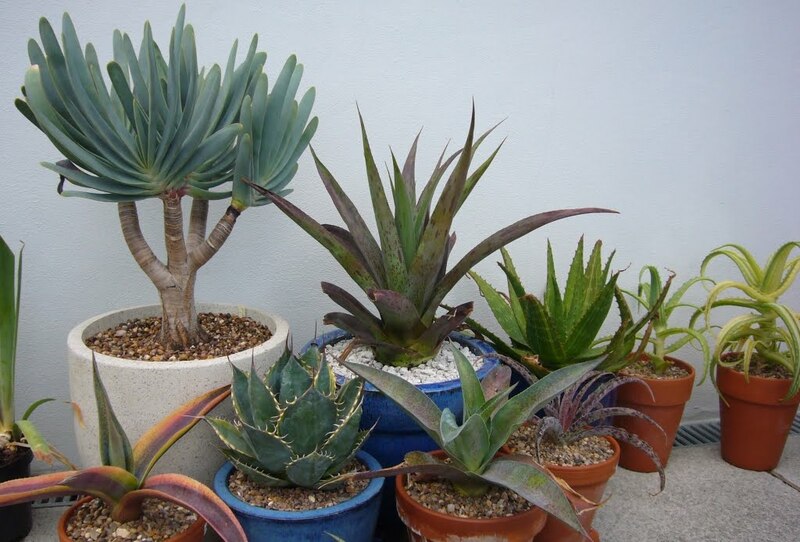 Most of the plants were going into a little bowl, inspired by the ones I saw last weekend. 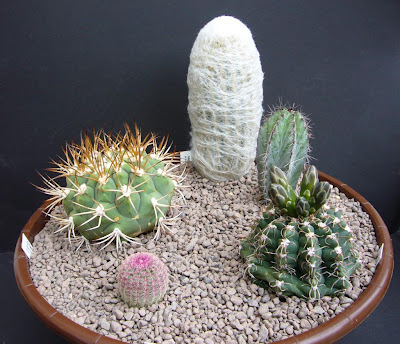 These should also be easier to transport than lots of individual pots. 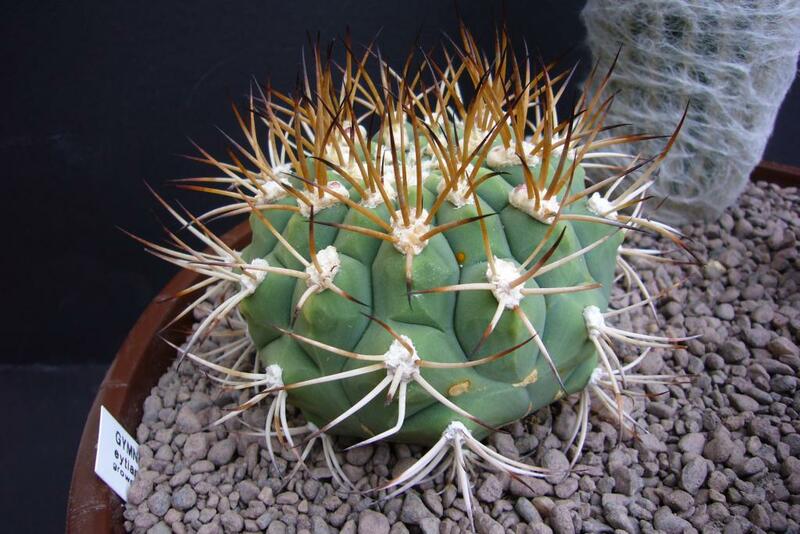 I love the spines on this gymnocalycium etianaum kk520. A few more went into this fake stone trough. Both of these will be left outside under under a rain cover next winter, although with the weather we are having at the moment, they wont have to wait until then for their first test. Brilliant! 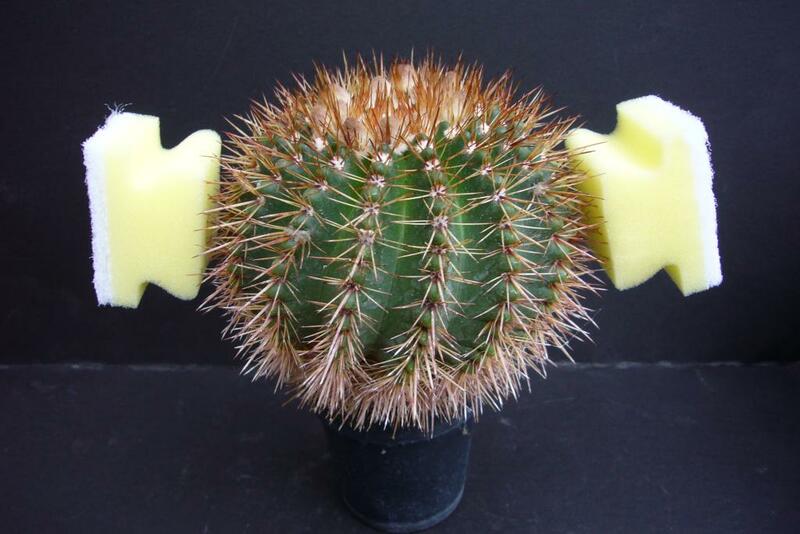 I always wonder how people plant and re-plant cactus!